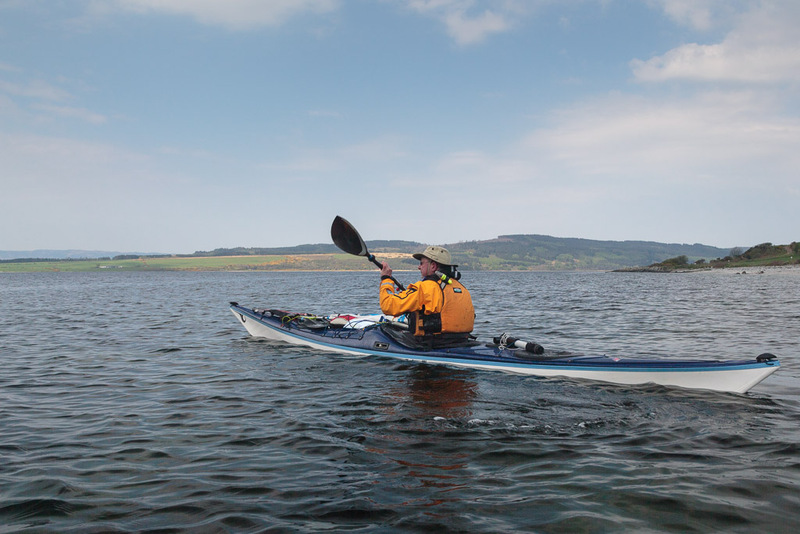 Sea kayaking with seakayakphoto.com: The Monday morning Commute to Bute. 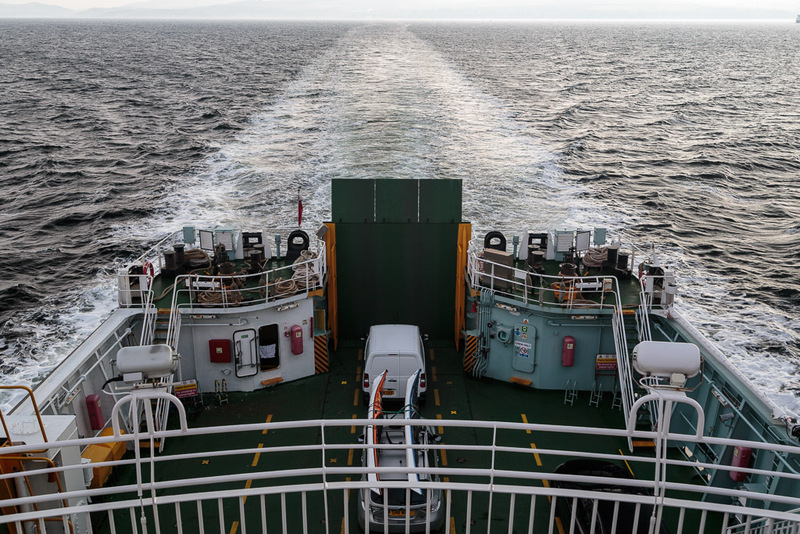 The Monday morning Commute to Bute. 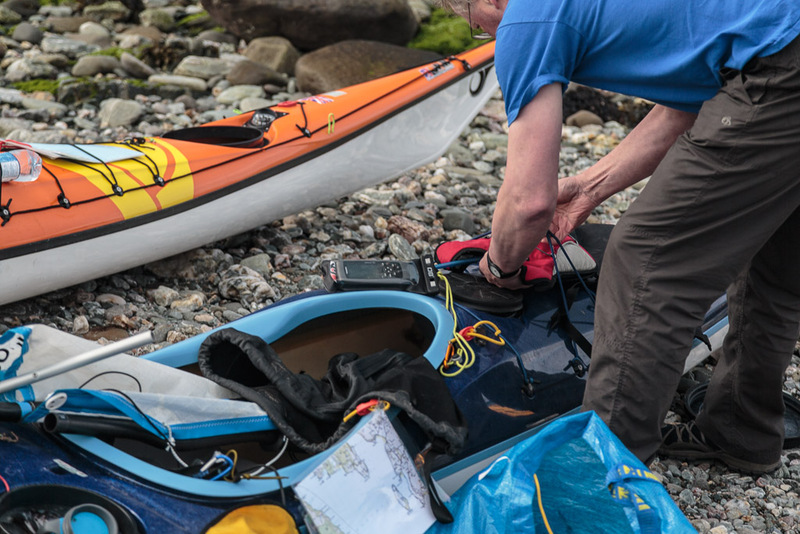 This blog has been pretty silent for a long time as my recovery from major surgical operations has been long and hard and I was unable to kayak for seven and a half months.. However, a weather window opened just when I was feeling able to try a camping trip again, my first in nearly a year! Ian, Mike and I exchanged some texts on Sunday and amazingly a trip took shape. Mike and I commuted to Wemyss Bay rail and ferry station early on Monday morning and arranged to meet Ian in Bute where he was staying with his relatives. The Victorians sure knew how to build public buildings. 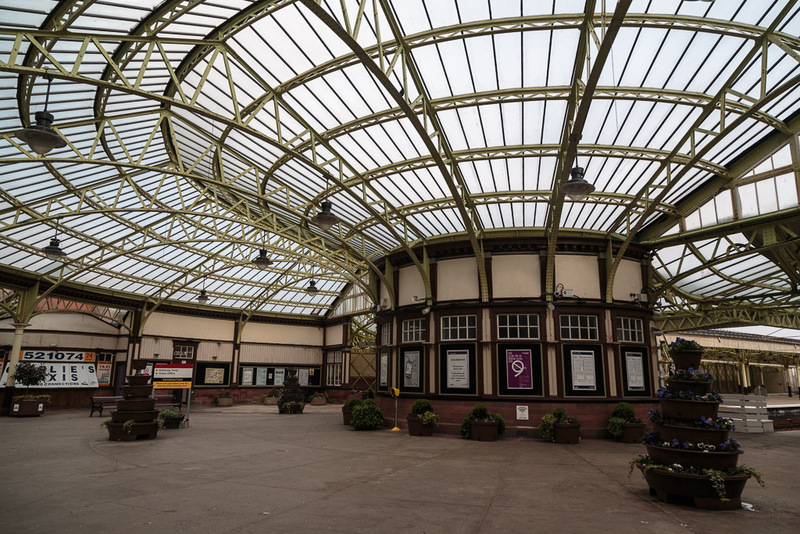 The Wemyss Bay station served many of the Clyde steamers that took generations of Glaswegians "Doon the Water" for their holidays. 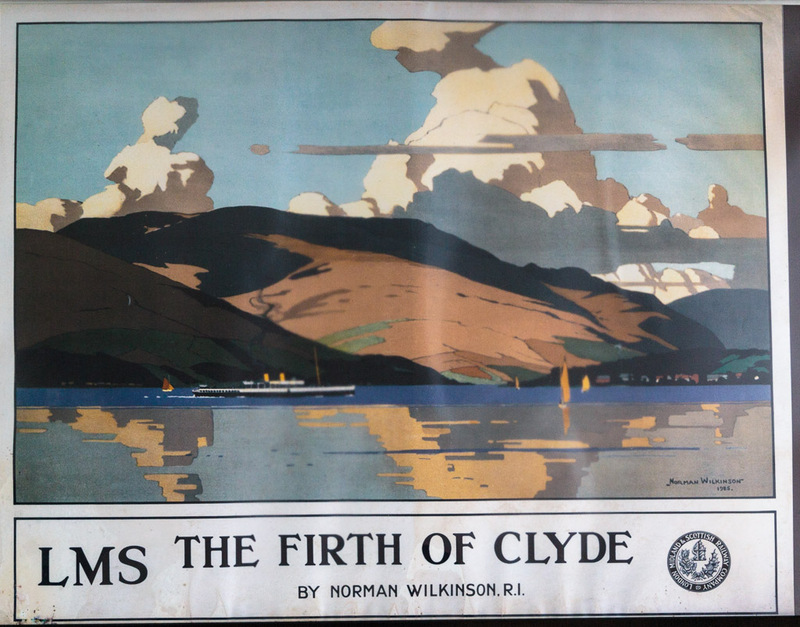 That bygone age is recalled by the Norman Wilkinson posters which still adorn the station walls. 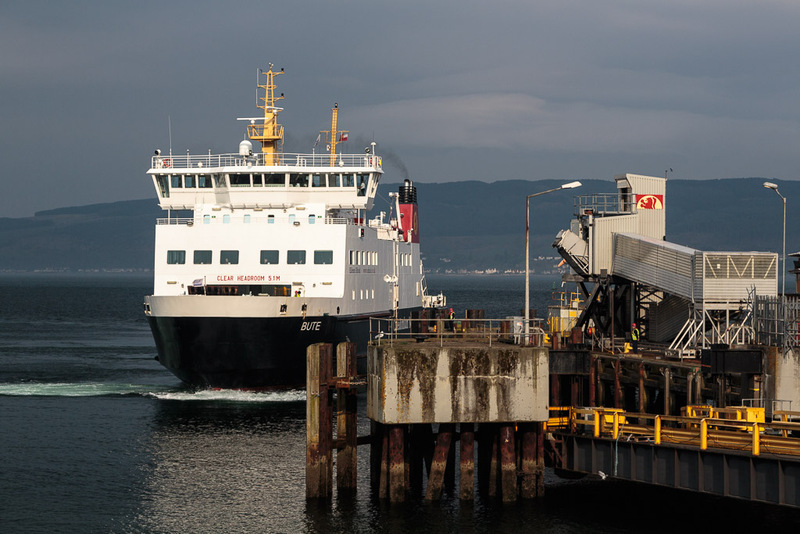 ...the port of Rothesay on the island of Bute. 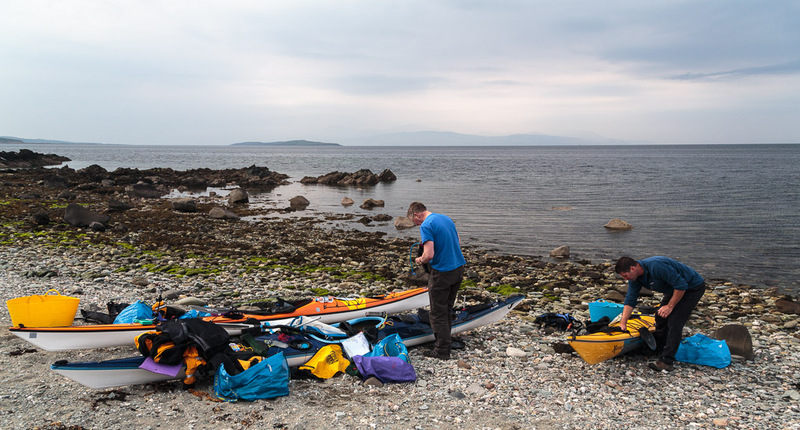 A short drive to Kildavanan Bay on Bute's west coast saw us busy packing for our trip. 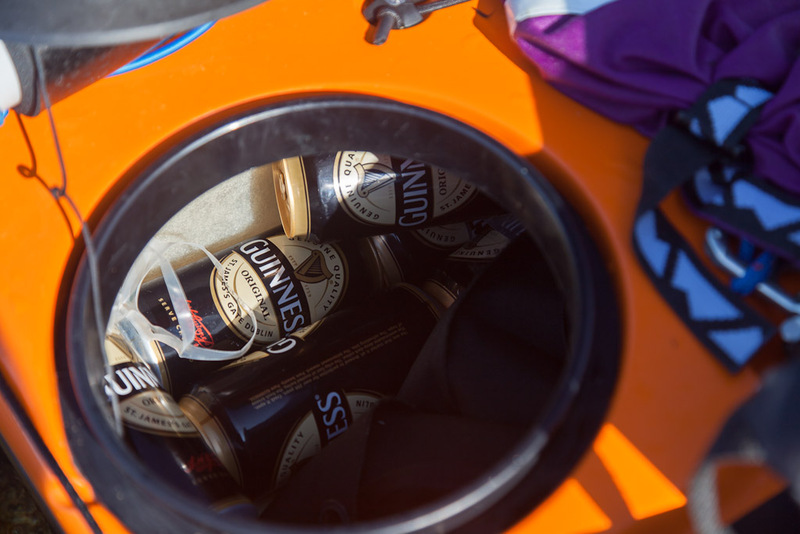 ...darn, we will need to remember to bring more ballast the next time. 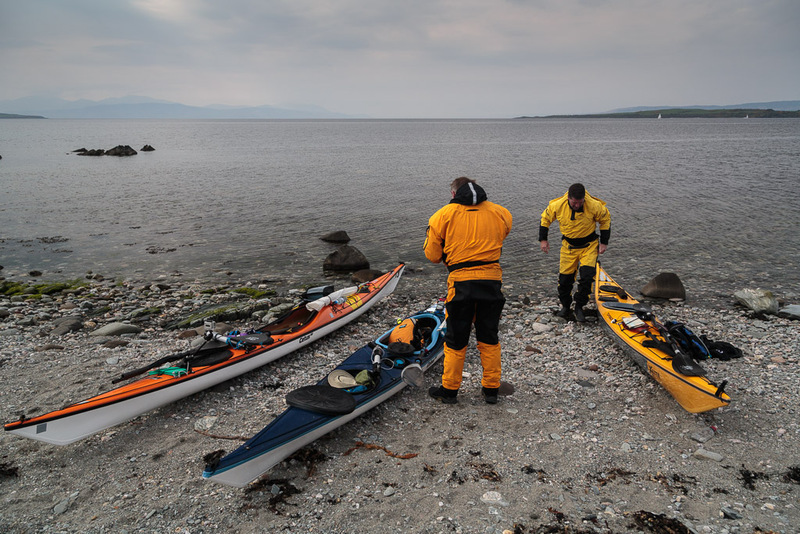 Although it was the end of April we decided on dry suits as the water temperature was only 7.5C and our trip would involve some crossings of the mouths of the West Kyle of Bute, Loch Fyne, the Kilbrannan Sound and the Sound of Bute.